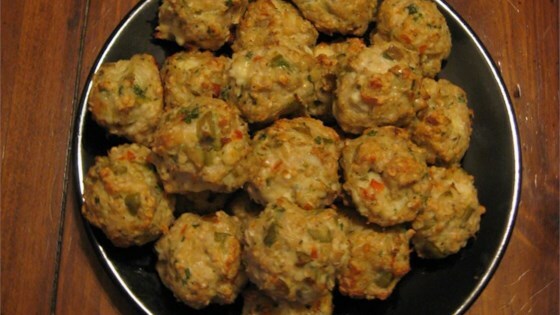 "These baked, ground lamb meatballs are flavored with feta and green olives." This amazing "spaghetti" and meatballs dinner is completely gluten-free. These were way too dry and tough. Good flavor but next time I will add a lot of breadcrumbs to make them soft. Thanks for the recipe though. Good recipe! I would use kalamata or Greek black olives rather than green olives, but that's just an opinion from a Greek girl!